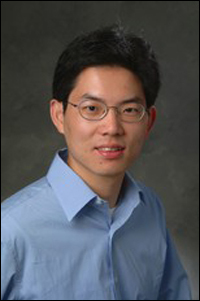 Dr. Xiaobo Tan, a 2002 ECE Ph.D. graduate, was recently promoted to Associate Professor with tenure at Michigan State University (MSU), effective July 1, 2010. He has served at MSU as a faculty member in the Department of Electrical and Computer Engineering since 2004. During his time at the University of Maryland, Dr. Tan was advised by Prof. John Baras and Prof. P.S. Krishnaprasad. Dr. Tan is the Director of MSU's Smart Microsystems Laboratory. He recently received funding from the National Science Foundation (NSF) and the Office of Naval Research (ONR) for his research on autonomous robotic fish for environmental monitoring. He also received MSU's Teacher-Scholar Award.